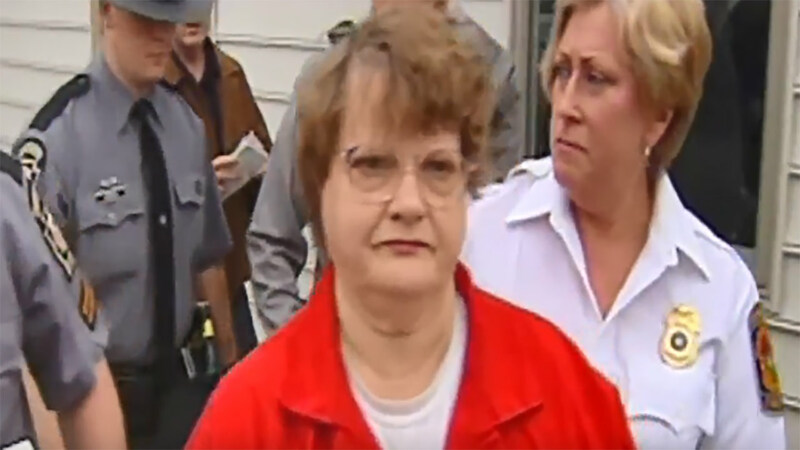 MUNCY, Pa. (WPVI) -- A woman convicted of killing a fellow parishioner in a suburban Philadelphia church a decade ago has died in prison. The Pennsylvania Department of Corrections confirmed Tuesday that 75-year-old Mary Jane Fonder died of cardiac arrest Monday at the State Correctional Institution in Muncy. Fonder was sentenced to life in prison in Bucks County in the January 2008 death of 42-year-old Rhonda Smith, who was shot as she worked in the office at Trinity Evangelical Lutheran Church in Springfield Township. At sentencing, Fonder said she "did not do this terrible thing." Authorities have said she also was the prime suspect in the disappearance of her father a quarter-century ago. On May 22, investigators used ground-penetrating radar to search the Kintnersville home the Fonders shared at the time.